The book is divided into chapters that explain how I was contacted by the Spirit World and trained in a very short time to recognise and use various psychic skills, how spirit used the people I was teaching to train me in the skills I needed to develop, and how I began to realise that learning to drive is very similar to the spiritual path each one of us walks every day. Anecdotal evidence is used, as well as my conclusions about what I had learnt and understood. The book can be received on many levels. 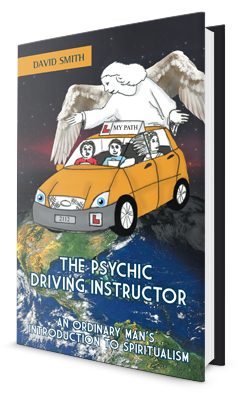 It can be seen as a book about driving instruction, spiritual awakening, inspirational, philosophical, or just an amusing story of one man’s awakening. Copyright © 2015. DAVID SMITH. All rights reserved.